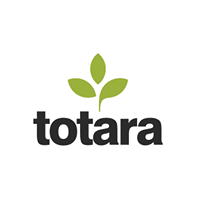 As a prelude to Learning Technologies 2019, Totara warmly invites all Totara Partners to a Totara partner meeting and networking event. This is a fantastic opportunity to hear directly from Totara about strategy, product and growth plans in EMEA and to provide your input in an informal setting. There will also be the chance to network with other Totara Partners, share good practice and find common ground for collaboration in the Totara ecosystem. Seats are limited so register now to secure your spot. Is the event open to Totara clients and prospects?Not on this occasion, the meeting is aimed entirely at Totara Partners. If you are interested in Totara from a user perspective, please attend our Totara User Conference. Is my registration/ticket transferrable?Yes, but due to the limited spaces available, we ask that a maximum of 3 people per Totara Partner attend. What if I can't make the event?If you are attending The APAC Totara User Conference the following two days, the Totara team will be happy to arrange 1-to-1 meetings. What if I want to present at the event?If you are attending the Partner Meet Up and would like to present, please contact us.